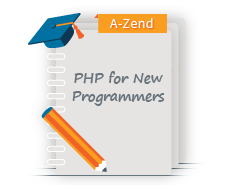 Zend Framework Fundamentals is designed for beginner to intermediate PHP developers who have a good working knowledge of the PHP language and object-oriented programming (OOP). You'll be introduced to the fundamental concepts that make Zend Framework (ZF) such a powerful tool to create web applications that can be rapidly developed and easily deployed. And you'll learn how to leverage the power of ZF to build well-designed, scalable, and secure web applications quickly and competently. This is an introductory course and assumes no previous Zend Framework experience. 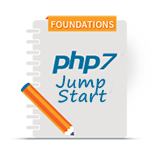 While this is a fundamental level course on Zend Framework, participants are assumed to be proficient enough in the PHP language to understand intermediate-level code examples and to perform coding exercises. Good working knowledge of PHP at an intermediate level and experience with developing object-oriented PHP applications. 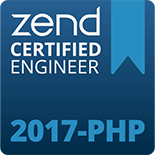 Note: After you have purchased your Zend online training course, you will receive an email detailing the registration process. 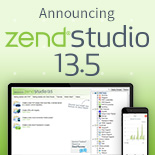 If you have any questions please contact us at itraining@zend.com. Learn how to leverage the power of Zend Framework to build well-designed, scalable, and secure web applications quickly and competently.